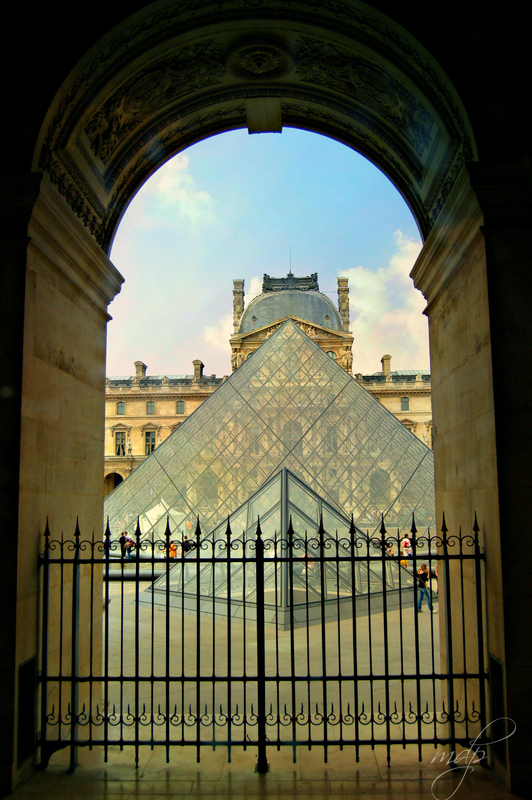 Looking onto the courtyard of the Musee du Louvre. On the threshold of old and new, past and present; where art meets the political, and clear panes of glass reflect time-worn stone. The threshold of the Medieval and the Renaissance; Revolution, Restoration, and the Third Republic. Surviving two World Wars and the ravages of time. If you’re interested in the Weekly Photo Challenge, you can check it out here. I love that city and walking around its streets…baguette in hand searching for a cafe to sit and people watch… There are some magnificent thresholds to be seen and traversed. So much going on in this lovely photo. The “doorway” transports me to Paris (I’ve never been yet); thank you for that! Gorgeous image and wonderful text. Perfect threshold, Mary. I recently watched The DaVinci Code in which this view plays an important role. Also one of my favorite stories.. I loved your take on the challenge! The architectural design and the view (from which the photo was taken) are amazing. Pingback: Weekly Photo Challenge / B4 Retouch: Threshold (Oracle) | What's (in) the picture? Now there’s a museum (and city) that I want to visit some day. what a wonderful shot. I luv the numerous shapes – round arch, triangular clear modern glass and the ancient dome behind it. great eye. such an interesting shot and apt description. I have never been to the Louvre. But I have been acquainted romantically with visitors to the place. I know, it’s Cliff Notes, but I think Paris would understand.